Chinese Virgin Hair is collected directly from only one Chinese hair donor, remaining the hair cuticles intact and aligning them in the same direction. Our Chinese Virgin hair cuticles go into the same direction and it is hand selected single donor hair and is of the highest qualitybecause unlike processed hair, inconsistencies in color and texture cannot be masked by color or perming. It is top grade quality healthy hair that can be colored well, since it has not undergone any harsh chemical processing. Brazilian Virgin Hair cuticles go into the same direction and it is hand selected single donor hair and is of the highest quality because unlike processed hair, inconsistencies in color and texture cannot be masked by color or perming. It is high quality healthy hair that be colored well. It is 100% natural unprocessed hair that can be colored well and will retain its luster since it has not undergone any harsh chemical processing. Characteristics: Brazilian virgin hair is healthy virgin hair, which has not been processed at all. This hair has natural body to it. It is cuticle hair, provided by the donor in its original state, therefore, the direction of the hair is respected, and the hair does not tangle at all. It comes in natural colors of dark brown and sometimes a bit lighter. 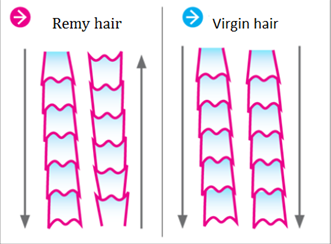 It is strong hair that is naturally straight, wavy or curly. The waviness can be easily turned into curly with proper styling. It is excellent for people with African ancestry, as it looks very natural, yet manageable. It is one of the most exotic hair types in the market. Peruvian hair has many purpose, it is lightweight but still carries lots of volume. It has soft and silky texture, available in natural black and natural brown shades. As usual, we only offer 100% Virgin Hair, therefore our Peruvian hair is obtained from a single donor and has not been chemically altered or processed. It is Shed-Free and Tangle-Free, so you can rest assured that you are purchasing top notch hair. We guarantee that you will love our long lasting and beautiful hair. Tsingtaohair does not provide European hair unless the customers supply us the European hair for their custom orders.